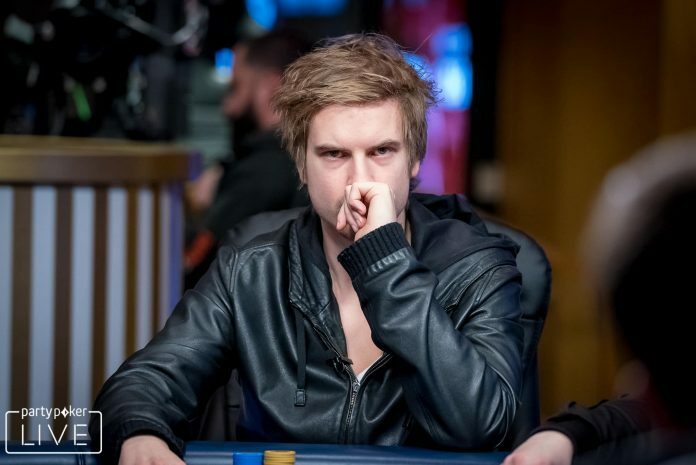 Viktor Blom added a POWERFEST title to his already impressive online poker resume (partypoker photo). The final day of partypoker POWERFEST was jam-packed with 15 events, including two Championship events. Viktor Blom and Sami Kelopuro might have been the two biggest names to find the winner’s circle on Sunday, but they didn’t take home the biggest score. ‘HaHaHakim‘ beat out 236 other players in Event #69 Super High Roller ($5,200 Championship Event) to take home the title and $210,183.20. That score came after a deal with ‘AndreshhParty94’ that allowed the runner-up to pocket $206,818.31. Jordan ‘JWPRODIGY’ Westmorland took home $124,017.50 for his third place finish. Latvian ‘SNGoenka‘ beat ‘GuyFromTiltBook‘ heads-up in Event #67 High Roller ($530 Slow, Eight Max) to earn $58,944. ‘GuyFromTiltBook’ settled for $41,952 as runner-up while ‘RosenheimCops‘ won $28,448 for a third place result. Kelopuro beat 593 other players in Event #68 High Roller ($1,050 Deep, Eight Max) for a $109,414.80 score. Runner-up ‘tikidiii16‘ banked $77,873.40 and ‘GlitchSystem‘ picked up $52,806.60 for finishing third. ‘PotatoLottery‘ picked up $159,455.20 between prize pool and bounties for winning Event #70 High Roller ($2,100 Championship Event, PKO, Eight Max). Runner-up ‘EggsBenedict‘ pocketed $81,540.66 while ‘WhoIsICM‘ banked $62,538 for finishing in third spot. Westmorland wasn’t done after his six-figure score. The American pro who is now the #1-ranked player in Thailand beat out 223 other players to win Event #71 High Roller ($520 Deep, Turbo, Eight Max) and earn $20,313.87. ‘SirStanleyRoyce‘ took home $19,984.26 as part of a deal with Westmorland. Third place finisher ‘Dark_Poker’ ended up with $12,111.40. Viktor ‘isildur1’ Blom beat ‘GuyFromTiltBook’ for the Event #72 High Roller ($1,050 PKO, Fast, Eight Max) title and $26,811.22. He also picked up an additional $39,170.64.